On this lovely Tuesday Westwood's U-Mini, the faster and even more casual little brother of the fast casual behemoth Umami, launched a brand spanking new, more expansive menu. 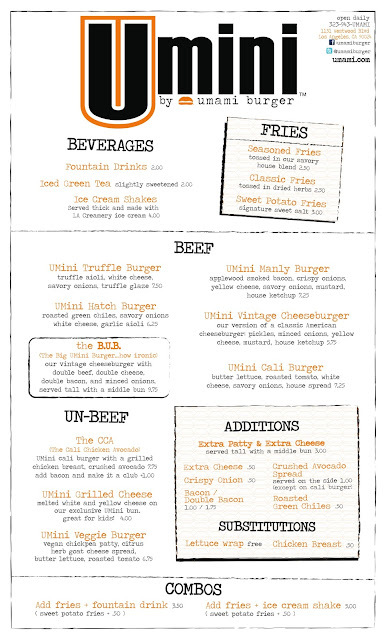 In doing so, the ever growing mini-empire continues to prove why people belove the Umami brand so darn much. It appears they actually listen to the consumer. Case in point: added to the menu are smaller versions of many fan favorites from the big restaurant. Also, gone is the mushroom burger that I thought was meh - replaced by a very pleasant sounding chickpea patty with goat cheese. 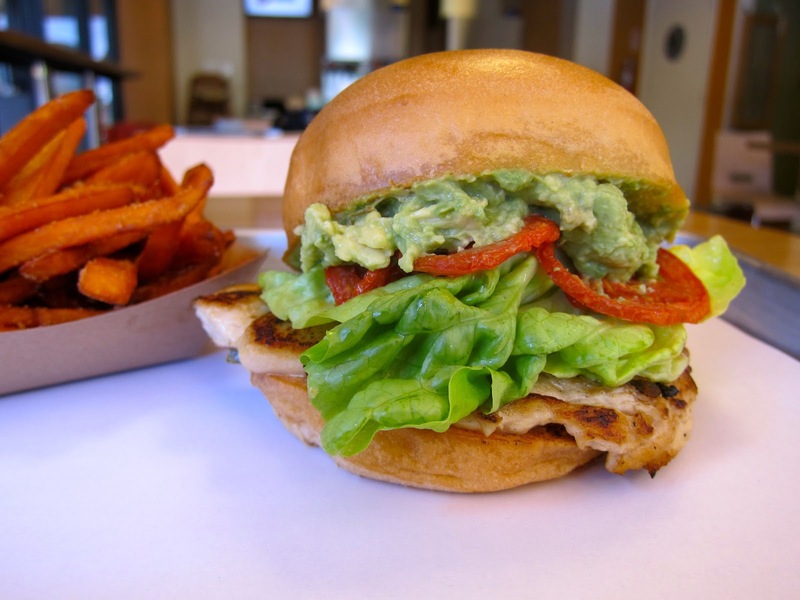 They even added the pictured above motherfluckin chicken sandwich (In 'n Out, YOUR MOVE, BRO). And a grilled cheese. U-Mini also officially now condones additions and substitutions. Which, let's be honest, they should have accepted from the beginning, but every restaurant has their (Mike Seaver) growing pains. New menu... but still no Green Bird? C'mon, Umami!